Beautiful round wall mounted soap dish for your modern or contemporary bathroom settings. 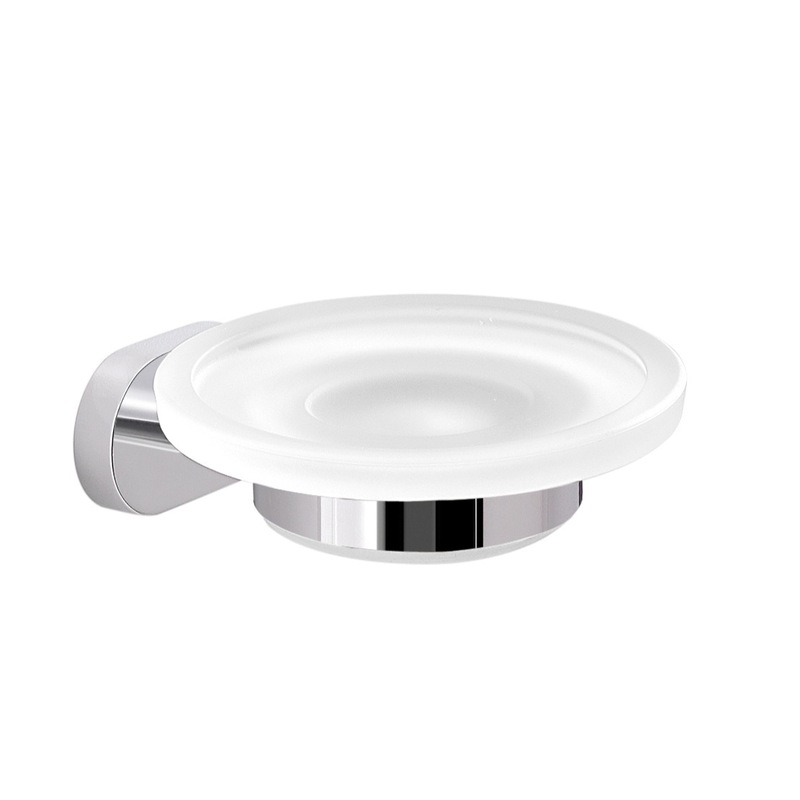 Soap dish is made of frosted glass while the wall mount is made of stainless steel and cromall finished in chrome. Designed in Italy by Gedy.